Redevelopment of 619 Newton Damages 617 Newton Place, NW | Park View, D.C.
619 Newton Pl, NW, as it looked in April, 2013. 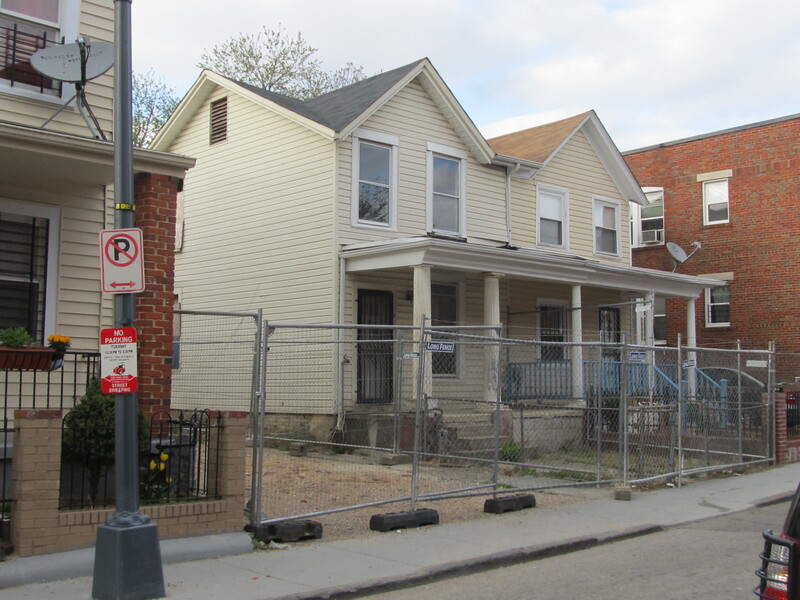 The property at 619 Newton Place, NW, has long been a troubled property. For the last couple of years, it was vacant and blighted. When it finally looked like it would be developed a year and a half ago, progress was slow. After much of the building was demolished, a Stop Work Order was issued on March 26, 2014, leaving nothing but the front facade on standing. 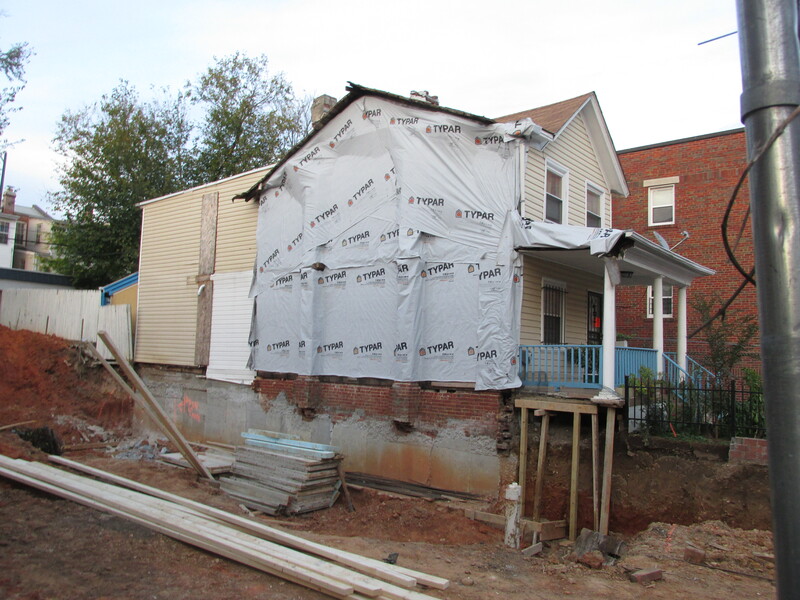 DCRA finally issued a permit on September 4, 2014 allowing for the remaining structure to be razed and full scale excavation ensued. Now, I’ve learned that on Monday, October 27th, the adjoining house at 617 Newton Place has been imperiled by the project and the residents of 617 have been informed that their house is unsafe to enter. Thus far, I’ve reached out to both Councilmember Graham’s office and DCRA trying to find out more about this situation. I’m critically concerned to find out what is being done to repair the neighboring property and find out if the residents of 617 Newton are alright and have shelter. I’m deeply disturbed and angered by the thought of anyone being displaced from their residence for any reason, but even more so due to the work of a developer that has already exceeded the scope of their permits at least once. Danger sticker on front of 617 Newton Place, NW. In retrospect, I’m not particularly surprised that a problem arose on this site. The original building permits for this duplex were issued on March 14, 1893, making this structure one of the oldest buildings remaining in Park View. Based on the exposed wall, this wood frame structure appears to have central brick columns in the center that would have been part of a shared support for both structures. I’ve yet to get a detailed summary/response from DCRA on this, but am definitely pressing them for a solution. Based on the DCRA Property Information Verification System, the developer is listed as EDGE Investment LLC and is based out of Bowie, MD. This entry was posted on October 29, 2014 at 7:01 am and is filed under ABRA, Construction, Development. You can subscribe via RSS 2.0 feed to this post's comments. I hope they get it fixed and put to something nice soon! This redevelopment, like so many, has had a painfully long and drawn out process. Is it blighted if it’s just a continual construction project? Not according to the city, but according to people that have to live with it, it’s a totally mess. Just across the street the 610 Newton Pl project was purchased by a developer and made into habitable apartments within about a year. We need housing and apartments for people, not pits in the ground that go on for years like this. Yikes!